Look at how CUTE this baby drone is. 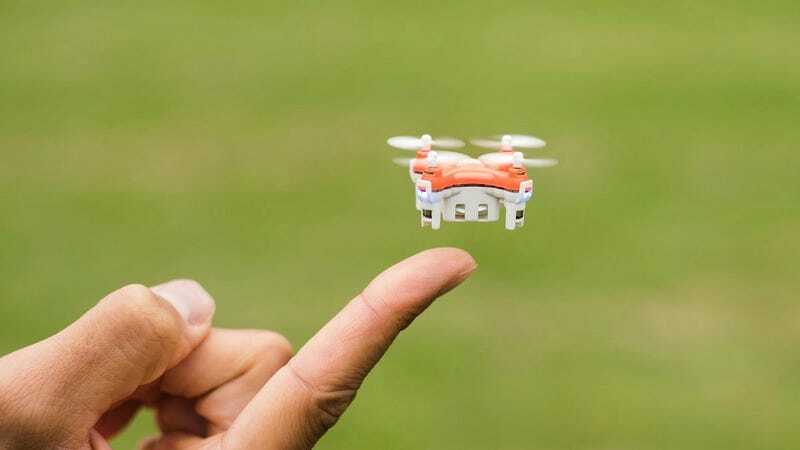 The Dutch electronics company TRNDlabs invented the world’s smallest drone, SKEYE Pico Drone. The little drone weighs just seven grams and is less than an inch wide. It is also tiny and adorable. Since it’s so lightweight, you can squeeze the remote-controlled drone into tiny spaces. And lil drone also has a 6-axis flight control system to let you flip, roll, dive and do other tricks your heart desires.